Business Night at College Celebrated With Hog Roast Hove! Recently, a local college offered Hog Roast Hove a great opportunity when they were invited to demonstrate their success at a careers evening. The local college wanted to the team to come and share their experiences of running a business with the college students. 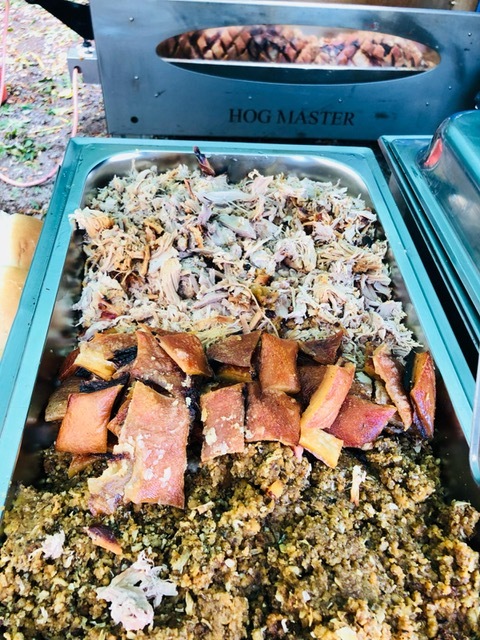 Among other local business, the company was invited to showcase a hog roast for the students on a stall while other local businesses demonstrated their trade. The aim was to inspire the students into considering creating their own businesses in the future and show them the huge variety of jobs available in the local area. In addition to inspiring the young minds of the college, the Hog Roast Hove was able to spread its name and expand in its customer base in the local area. On the night of the student-parent open evening, the Hog Roast Hove team set up their hog roasting stall in the college grounds and shared their knowledge of working day life with the students. They explained to the students the importance of time management and how they operate their business to provide the best service to their customers. They also commented on how they make their catering options flexible to fit any event, at any time of the day, with as many guests as you can invite. The Hog Roast Hove team enjoyed this great opportunity to involve themselves in the local community and inspire future entrepreneurs. In addition to this, the parents and students had a fantastic chance to taste the brilliant food that the team can produce. The event was an all-around success and once again the hog roast Hove team delivered an amazing service. It was a great opportunity for the Hog Roast team to demonstrate their talent and showcase another brilliant buffet of family food. The team were a great help to the local students and showed them the key principles required to run a successful and sustainable company. The food went down quickly and the team worked tirelessly all night to keep the hungry students satisfied and they decided their next steps.